After several hours of anticipation, Spotify's shares traded as high as $169 before falling back slightly. 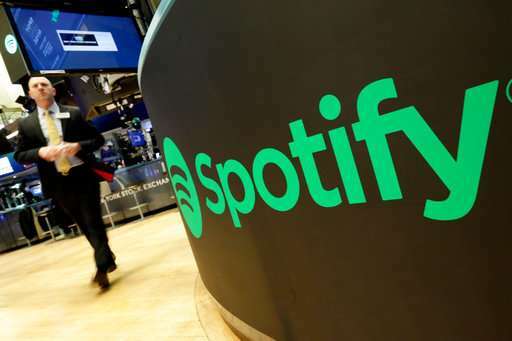 By the early afternoon, the stock was still hovering around $150—well above its previous high of $132.50 in deals worked out during Spotify's 12-year history as a privately held company. 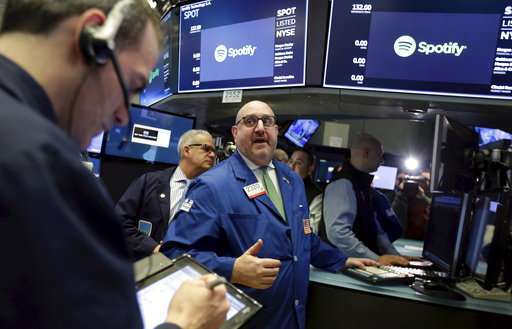 The stock market's rousing reception left Spotify with a market value of about $28 billion, according to FactSet. By comparison, internet radio station Pandora Media's market value stands at $1.2 billion nearly seven years after that company went public. The good vibes surrounding Spotify stem from its early lead in music streaming—a still-evolving field trying to hook people on the idea that it's better to subscribe for online access to millions of tunes than to buy individual albums and singles. By comparison, Apple's nearly 3-year-old music streaming service has 38 million subscribers. A list of other formidable competitors that includes Google and Amazon also offer similar music streaming services, raising the specter of Spotify being wiped out by far richer rivals. 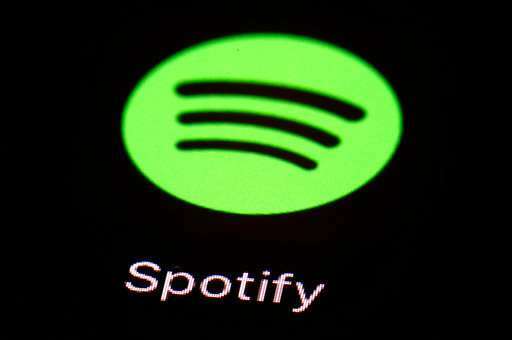 Spotify's early lead in music streaming has drawn comparisons to Netflix, which built upon its pioneering role in DVD-by-mail rentals and then video streaming to create a hugely successful, subscription-driven franchise that has produced spectacular investment returns and left the company with a market value of $122 billion. Besides blending technology with a subscription model to reshape a popular form of entertainment, Spotify and Netflix have a common executive in their lineage. Spotify's current chief financial officer, Barry McCarthy, held the same job when Netflix went public and remained in that position until leaving the video service in 2010. Unlike Netflix, Spotify still isn't profitable, having lost more than 2.4 billion euros ($3 billion) since it started more than a decade ago. Spotify has also made it clear that it intends to remain focused on adding more subscribers instead of making money for now. Netflix has also set itself apart from its rivals in video streaming by spending billions on original programming such as "Stranger Things," and "The Crown." Analysts are worried that will be more difficult for Spotify to do because it is primarily negotiating for the same music streaming rights as Apple, Google and Amazon—companies that can afford to pay even more, if they want. Spotify Technology SA also is making its Wall Street debut in an unconventional way. It's using a "direct listing" on the New York Stock Exchange that will allow the company's early investors and employees to sell as many shares as they want whenever they want. That's a departure from a traditional initial public offering in which a company and a few select investors first sell a limited amount of stock at a starting price determined by investment bankers who spend weeks gauging investor demand. The direct listing could result in wild swings in Spotify's stock pricing during the first few days of trading, especially since Spotify's shares sold in a range of $48.93 to $132.50 in privately negotiated transactions during the first 11 weeks of this year. "Normally, companies don't pursue a direct listing. While I appreciate that this path makes sense for most, Spotify has never been a normal kind of company," Spotify CEO Daniel Ek wrote in a blog post . "Our focus isn't on the initial splash," he added. "Instead, we will be working on trying to build, plan, and imagine for the long term." Spotify is working well, like a lot of apps struggles opening up but it swaps between apps, places no restrictions on listening and lets you build play list and albums, has a wide selection to choose from. It also learns from your play lists and plays new music for your tastes for you to add to your playlist which it downloads to your SD card for listening in the car away from the broadband connection. In short it works!